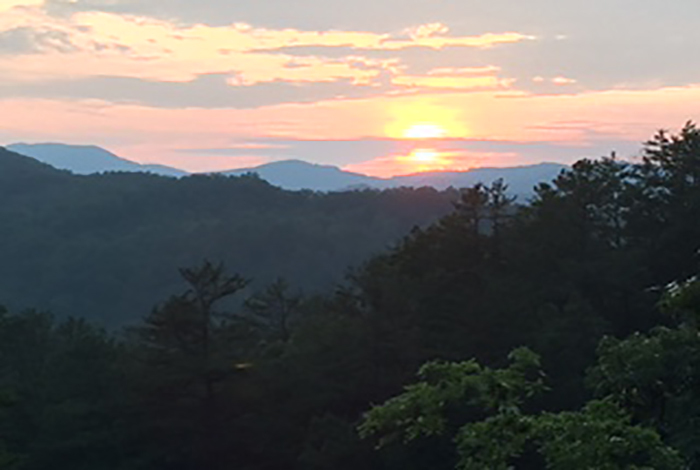 The name cannot hold to the real beauty in person. 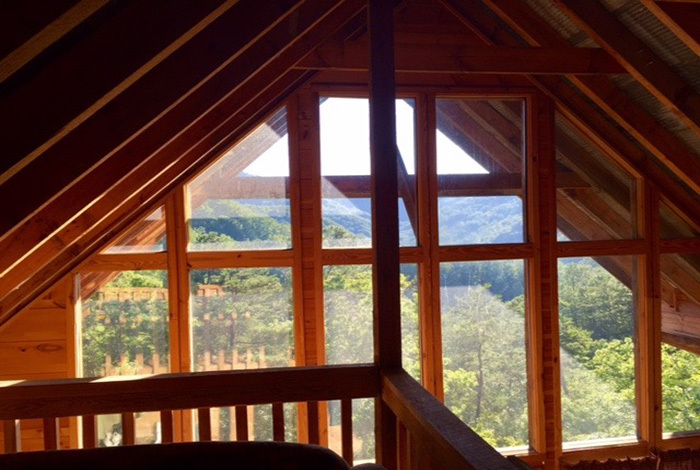 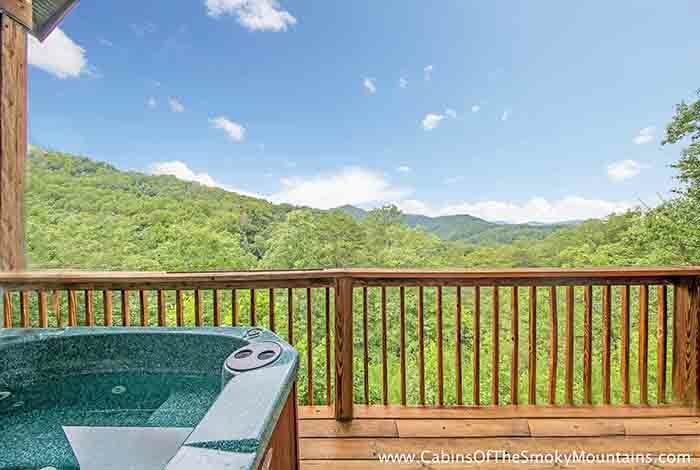 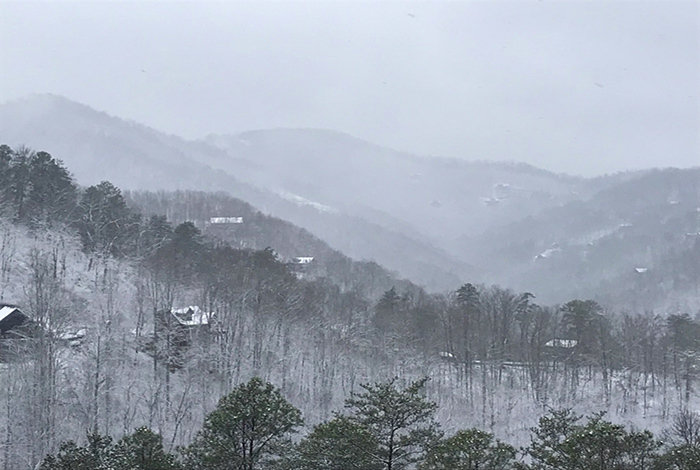 The Paradise View is a wonderful cabin with gorgeous views of The Great Smoky Mountains. 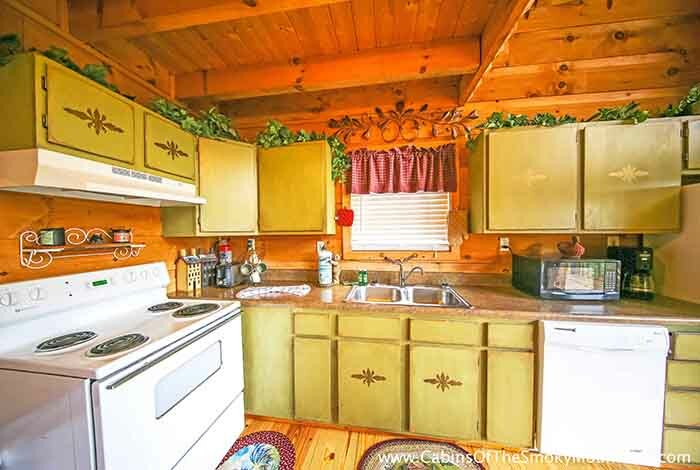 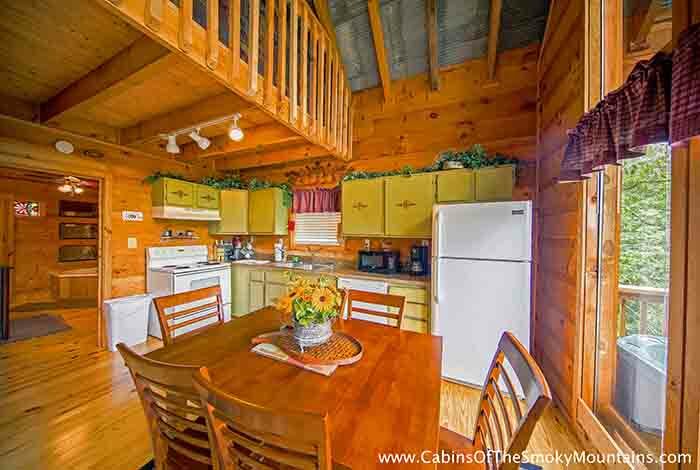 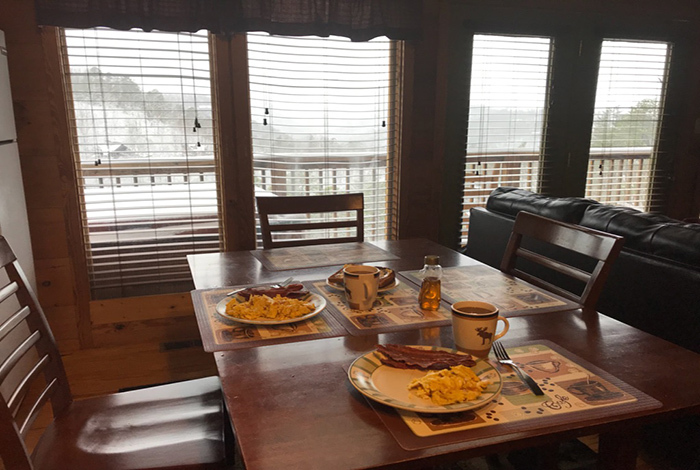 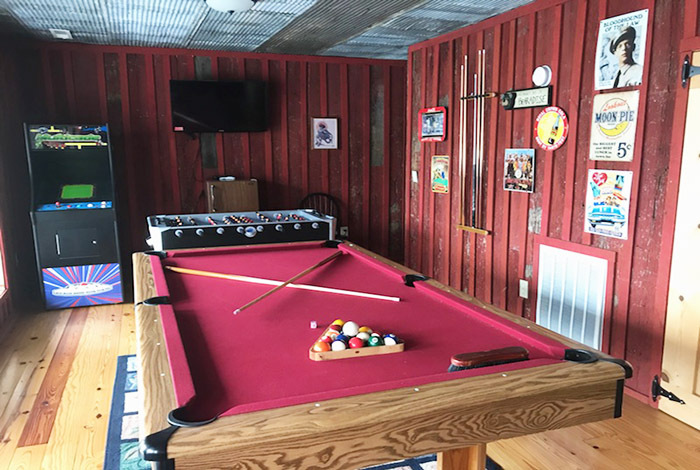 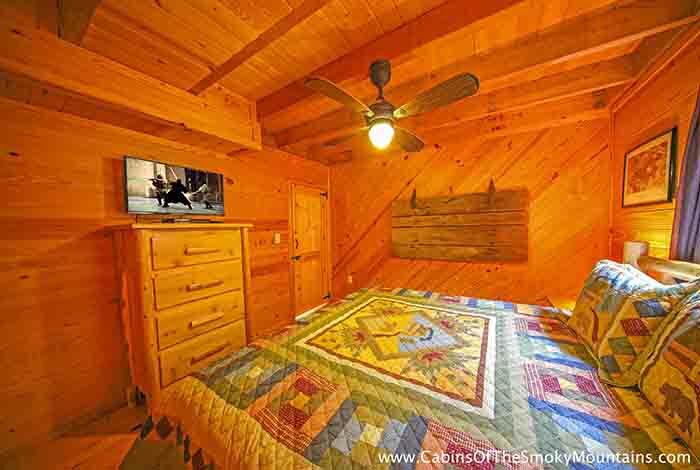 Located in Pigeon Forge, this two bedroom cabin accommodates twelve guests. 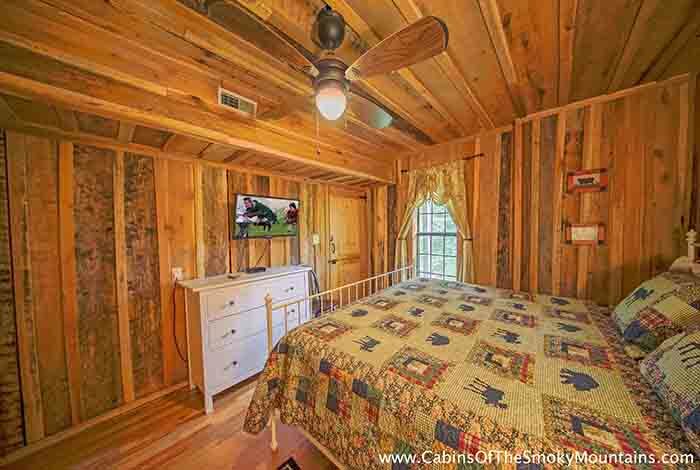 Only 10 minutes away from Dollywood and other Pigeon Forge's entertainments. 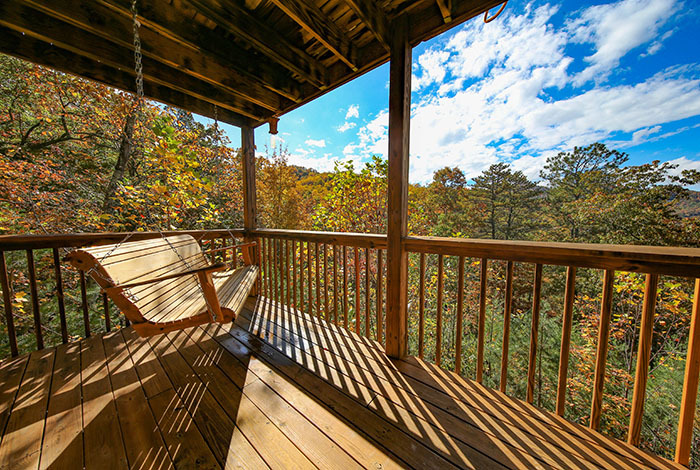 Gatlinburg is only 20 minutes away for more fun-filled memories for the whole family. 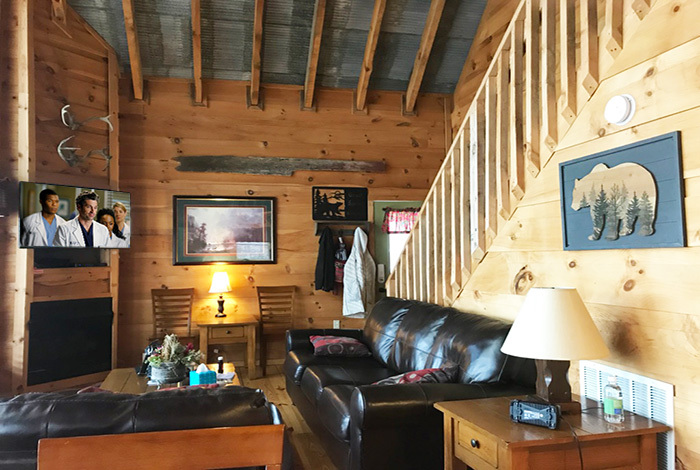 Want to stay in? 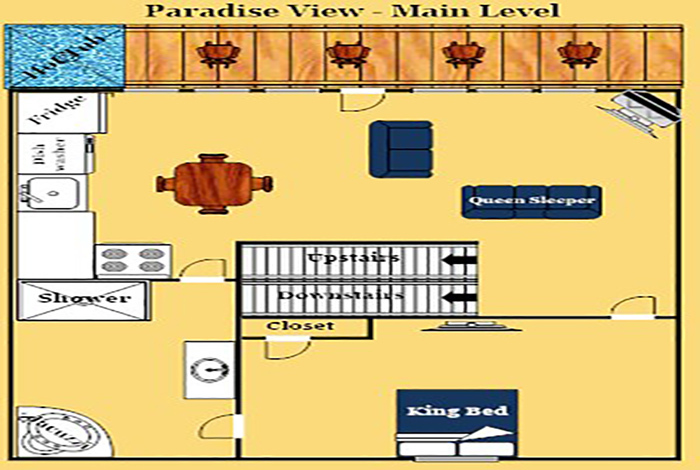 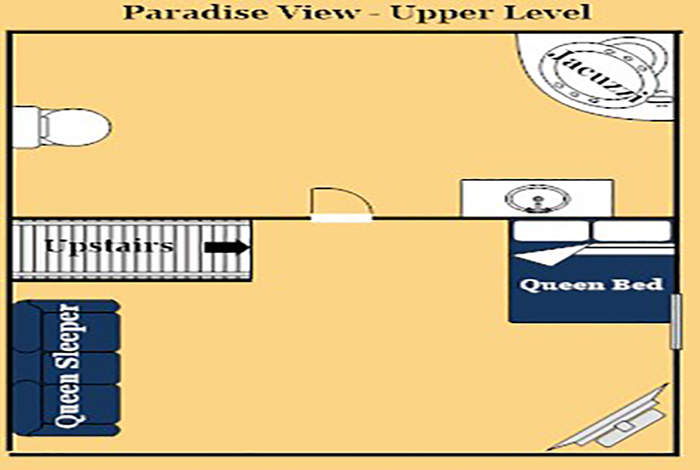 Paradise View has entertainment for all ages. 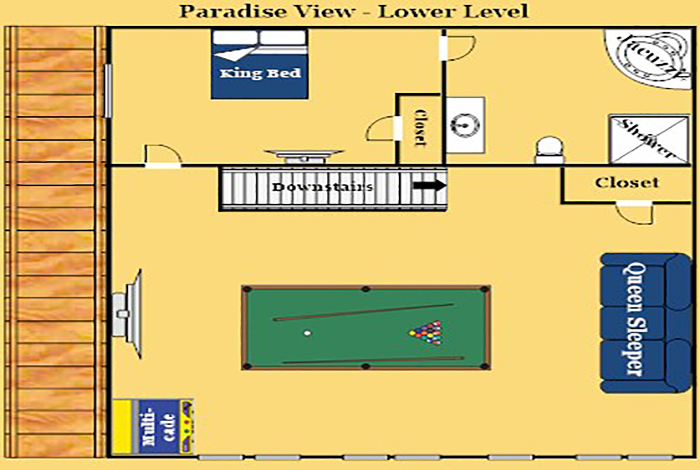 Play a game of pool, Multicade Arcade Gaming System or enjoy the wi-fi. 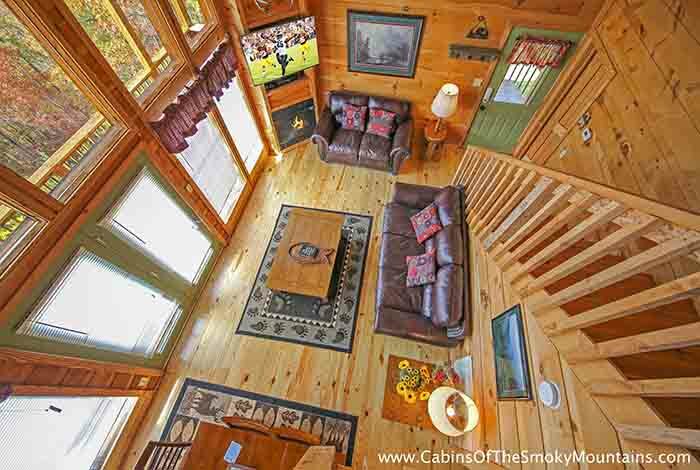 Watch a movie next to the gas fireplace looking over the views. 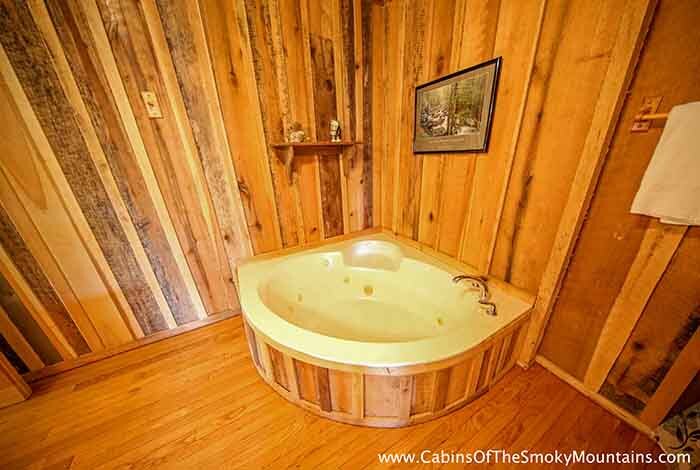 Everyone fight over a turn in the Jacuzzi? 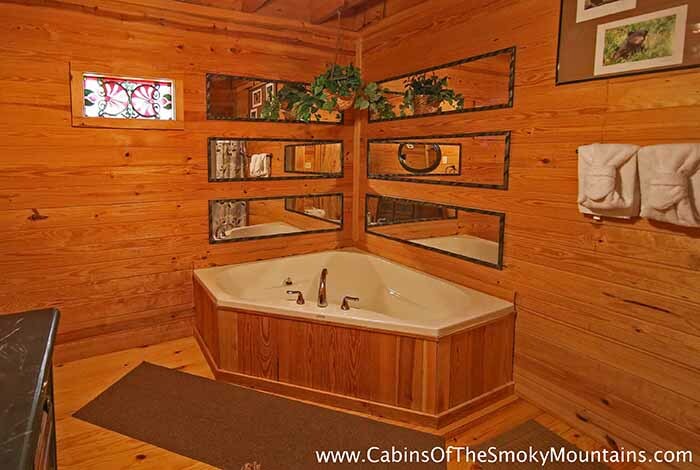 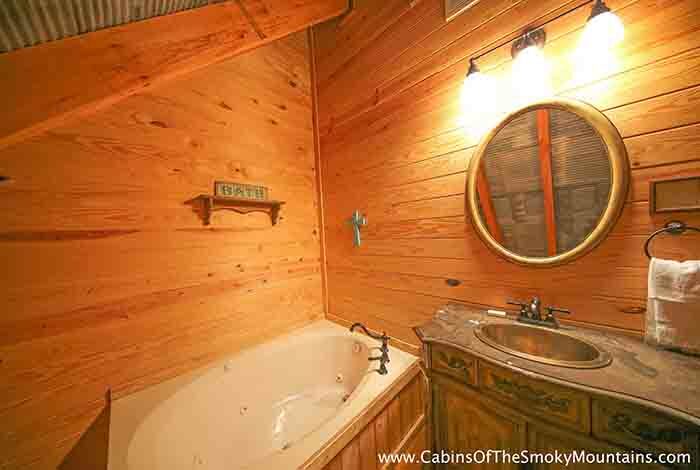 This cabin has three Jacuzzis and a hot tub. 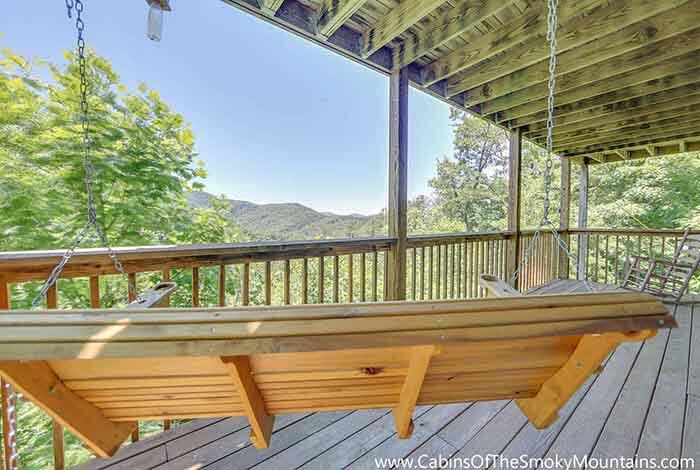 Cook on the gas grill, and sit in a rocking chair watch has time stands still with the landscape unfolded. 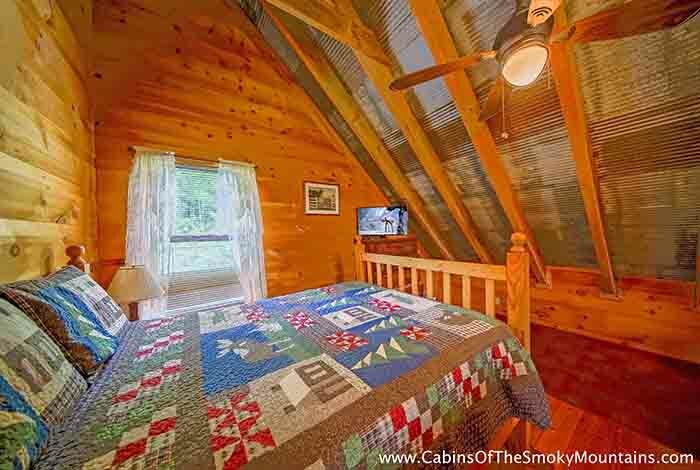 Make this cabin be the destination where your family will have memories last them for a life time.